Inevitably, this results in a reduction in the quality of the products and services provided by the organisation to other employees, and perhaps more importantly, to its customers. Communication is key within any business. Whether that be a small start-up or a large blue chip organisation, communication is necessary for improving performance and job satisfaction. Often overlooked in preference of simply ‘getting things done’, a severe lack of communication can have a detrimental effect to a business and its processes. Accounting is the backbone of any company. After all without a finance department, the company doesn’t know where it is financially. The part of an organisation that manages its money, the accounts department is an often brushed over part of the business that, ironically, goes hand in hand with all parts of an organisation. Accounting was created in response to the development of trade and commerce during the medieval times, and is the only way for business to grow and flourish. Having an influence in every business department, the accounts team’s time is often spent being dragged in all directions producing reports and chasing up outstanding payments, minimising time for effective communication between other areas of the business. The sales and marketing teams are at the forefront of businesses and often work extremely closely, tracking return on investment and peaks and troughs in sales. The communication between these departments is often okay because of this, however as with everything, there are usually improvements that can be made to streamline processes and improve performance as a whole to ensure an effective customer journey and customer experience. Sales teams often focus more on making sales, hitting targets and following up leads, whereas marketing teams are often busy creating campaigns and tracking reports, sometimes making communication between the two sporadic. Good communication between these two key teams is vital for an effective, valuable and well-informed sales and marketing campaign. You’d be surprised at how many people don’t know what their own department is responsible for – let alone what other departments are accountable for. There’s a lot of crossover between sales and marketing departments in particular, meaning there is often confusion over what the other is supposed to be doing. Sometimes this results in the same task being done twice. However more often than not, it means that things get missed and tasks get left. By ensuring that every single person in every single department knows not only what they are supposed to be doing – but also what others are supposed to be doing – will help to ensure that every task is done on time by the correct personnel. So much business time is wasted waiting for information. Information from customers is something you can seldom change, however the communication of information from one department to another is one thing that can definitely be improved. Linking into the above point, making certain that everyone knows what information is needed from them – and when – guarantees for a smoother transaction between departments, which will resonate to customers. This is a controversial technique and not always one that is possible to implement due to deadlines and other work pressures and commitments, but it does often deliver an effective outcome. Rotating employees through other departments can help them get to know their co-workers and gain a fuller understanding of what they do, when they do it and why they do it. By getting employees to work in different departments – particularly those they work closely with – will provide them with a more rounded perspective of how the work of the organisation is conducted, while highlighting the importance of sharing information between departments. The JFK communication exercise is a popular technique used by organisations all over the world. It works by getting employees to think outside their own box and look into others’ – particularly those within different departments. The phrase ‘Ask not what information other departments can provide to you, ask what information you can provide to other departments’, has been shown to encourage employees to work more closely with other departments, helping develop lines of communication on a regular basis. Human error happens every day and is practically unavoidable. Even the most organised person can forget small details now and then. However sometimes these small details can have a negative effect on organisations from the bottom up. The only sure fire way to avoid these is by using technology. Developments in software and technology mean that it is now even easier to streamline processes. As we’ve already established, the marketing, accounts and sales departments are three of the most prolific parts of a business, the driving force behind companies if you will. Technology has now made it easier than ever to link these integral departments up to create not only a more functional process for employees, but also a more refined service to customers. So, before it's too late, think about what you and your organisation should be doing to improve flow between key departments. 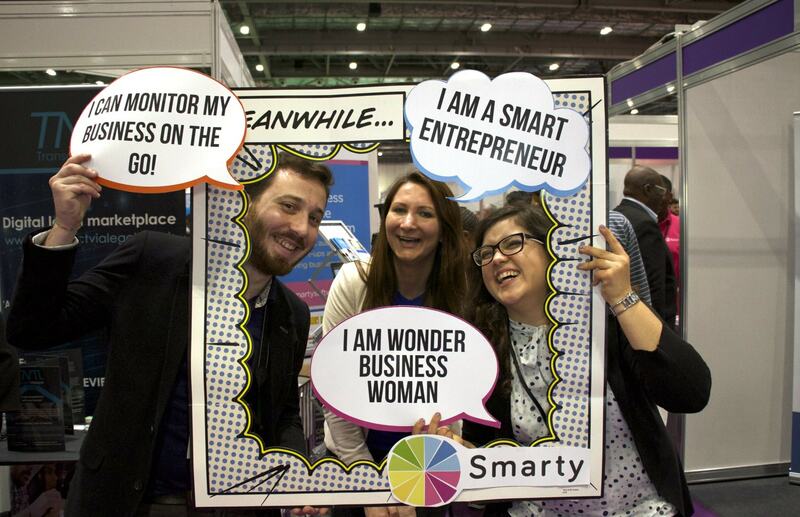 Smarty is a revolutionary software platform that makes running businesses easy. Specifically designed for businesses owners, entrepreneurs and freelancers, it automates and simplifies daily tasks, freeing up time to grow business. Doing the job of a PA, accountant, sales manager and web marketing expert, it streamlines processes, making for a wholly more effective system.